Collectable magnets are a great addition to any home and make a fanstastic gift. 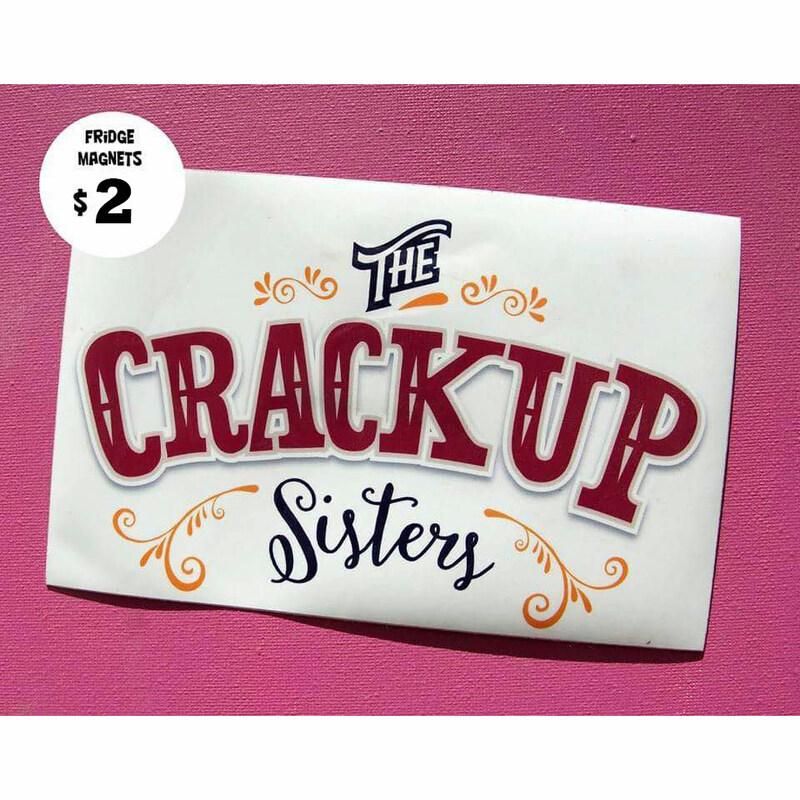 Add some fun to your fridge with our Crackup Sisters magnet featuring an eye catching coloured logo on a white background. This magnet will provide you with a smile each time you hark back to the Crackup Sisters’ amazingly funny, and witty quips and quotes.